Heather Tookes Alexopoulos is a Professor of Finance at the Yale School of Management, where she has been a faculty member since 2004. Her research lies at the intersection of capital markets and corporate finance. She has a particular interest in financial markets that are linked to corporate credit, such as credit default swaps and convertible bonds. Heather teaches the Corporate Finance elective in both the full-time MBA and the MBA for Executives programs. She has received teaching awards in both of these programs. Heather currently serves as the chair of the Investments Committee at Trinity on the Green, where she was also Treasurer from 2009 to 2011. She is also a member of the Board of Directors of New Haven Youth Tennis and Education (New HYTES). 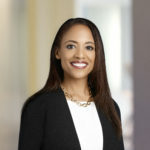 In addition to New Haven area not-for-profit work, she currently serves on the Board of Directors of Ariel Investments LLC and is a member of the Economic Advisory Committee of the Financial Industry Regulatory Association (FINRA). She received her PhD from Cornell and her BA from Brown. She is married to Chris Alexopoulos and they have two children; their oldest is in Kindergarten at St. T’s.